If you remember last episode I described how I ran wires into the doors for the keyless entry system. In this episode I will describe the fitting of the mechanical parts. The first mistake I made was to do the slave, or passenger door first. This left me with embarrassingly short lengths of wires in the master or driver’s door. Doing it the other way would have given me all the wire length I needed as the slave wires were far too long anyway and were cut and reterminated. The first items, apart from the door locking system, that I bought were some rod lock clips, I think that’s what they were called. They determined the size of the control rods I would need, 5mm as it turned out. As I have two different styles of doors there are some differences in the installation methods. In hindsight both doors could have been done as in Figure 7, but this was the driver’s door. 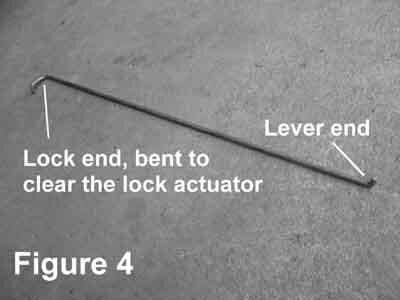 The most critical part is the lever between the electric actuator and the lock actuator. The electric actuator has a movement of 16mm, whilst the lock actuator only moves 8mm. This required that the holes for the rods had to be spaced from the pivot point at a ratio of 2 to 1. 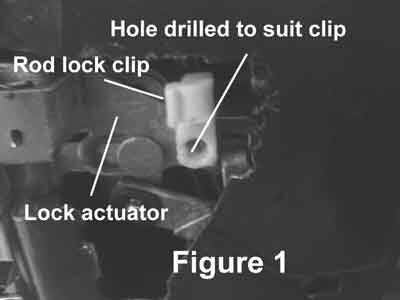 The pivot point is a hole drilled and tapped to ¼”, screwed onto a ¼” bolt, which in turn is bolted to a cross member, as shown in Figure 3. 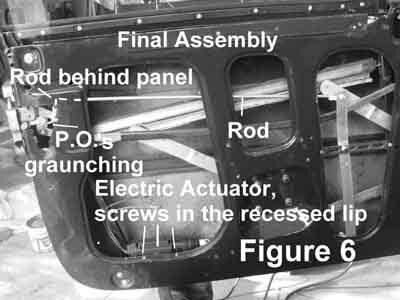 Figure 5 shows part of the final assembly in the passenger door. Note that the lever had to be bent outward a bit, to clear the window mechanism. Also visible is the pivot bolt and the nut holding it. The complete final assembly is shown in Figure 6. 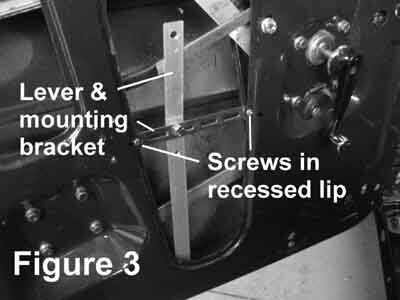 Note that all screws have been drilled through the recessed lip on the doors so that they would not cause bulges in the trim. 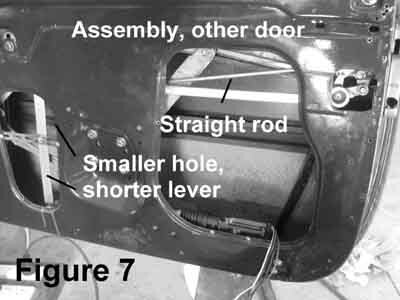 Figure 7 shows the final assembly of the driver’s door. 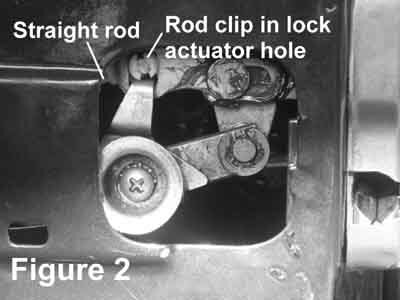 Note that the hole in the door is much smaller, necessitating a shorter lever, still with the 2 to 1 ratio between the pivot and rod holes. 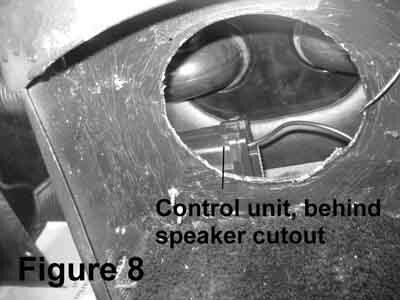 The electronic control box was fitted behind the central radio speaker cut out, as in Figure 8.